Hand-held watering and shorter showers could hold the key to work continuing on upgrading Christchurch’s water wells over the hot summer months. Christchurch City Council is asking people to cut back on their water use so its contractors can continue to work on upgrading its well heads. The work needs to be done in order for the Council to be able to stop chlorinating the water supply. “If everyone makes an effort and we can keep our water use under 212 litres a day, per person, we can continue with the well head work and avoid the need for water restrictions, and get the chlorine out of the system sooner,’’ says Council Water Supply Programme Manager Helen Beaumont. “We’ve set up an online colour coded dial where people will be able to see each day how we’re tracking against our water use target. “Our goal is to keep our water use within the green zone. If we spend too much time in the yellow or red zone, then it is likely we will have to impose restrictions or stop the work on the wells". Ms Beaumont says while the biggest water users tended to be garden sprinklers and irrigators, everyone could help save water this summer. “It only takes small changes to make a big difference to how much water you use. For example, if you only have five minute showers you can save up to 3700 litres of water a month. “You can save 50 litres by doing one less load of washing so just wait until you have a full load before you turn the washing machine on,’’ Ms Beaumont advises. “Our water supply always comes under pressure over the summer and we routinely run water conservation campaigns encouraging people to use less water. “The need for water conservation though is more pressing this year because of the infrastructure work we need to get done in order to upgrade our well heads and stop chlorinating the water," Ms Beaumont says. Water your garden when it's cool, ideally before 7am or after 9pm. Water only in still conditions, as strong winds cause water to evaporate quickly. Ditch your sprinkler or irrigation system and water with a hand-held hose instead. If you’re washing your car, do it on the lawn so you’re watering the lawn at the same time. If it’s brown, settle down! Please don’t water grass berms. Keep children’s paddling pools covered with a tarpaulin when not in use, to keep rubbish out, so you can use the water for several days in a row. When you need to change the water, use a bucket to empty the water from the paddling pool into your garden. 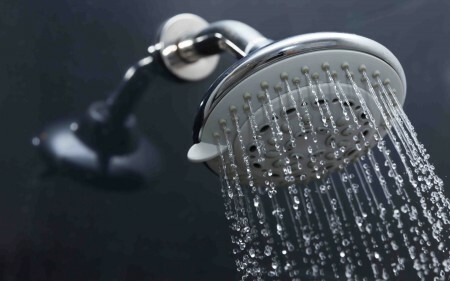 Keep showers to five minutes to save up to 3,700 litres of water a month. Up to 20 per cent of household water is used for washing clothes. Cutting one load a week could save 50 litres, so wait until you have a full load before turning the washing machine on.